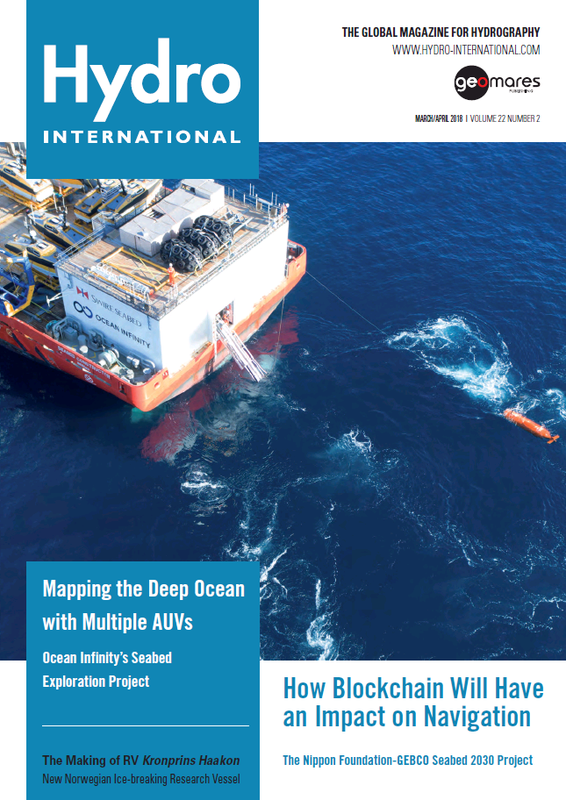 On the front cover: AUV recovery to the purpose built hanger on the back deck of Seabed Constructor. Ocean Infinity’s seabed mapping campaign commenced in the summer of 2017. The Ocean Infinity team is made up of individuals from multiple disciplines, who have gained vast experience with deep-sea exploration operations in the past. Read the full story on from page 24 onwards. Norway is a maritime country with a very long coastline, and on top of this it is also very much a polar nation with 80% of its sea territory and 45% of its land mass north of the Arctic circle. It is the only country with territorial claims both in the Arctic and the Antarctic. 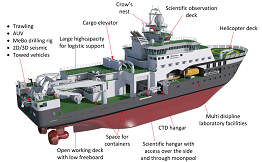 In spite of this, Norway has not had a purpose built polar research vessels since Roald Amundsen’s Maud (1917), instead relying on converted commercial vessels for these purposes. This is about to change when Kronprins Haakon comes into service in 2018. The blockchain technology can potentially change the process of compiling sea charts. Since not all of us are acquainted with terms like ‘blockchain’ and ‘distributed ledger’ let us first see the inner workings of this technology by giving an example. You can proceed to the next subtitle without missing the point if you know about DLT (Distributed Ledger Technology). 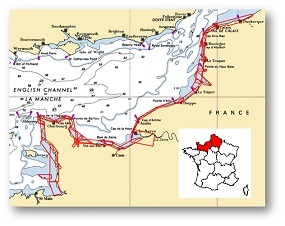 Starting in 2005, the French Naval Hydrographic and Oceanographic Office (Service Hydrographique et Océanographique de la Marine [SHOM]) and the French National Geographic Institute began conducting a series of coastal surveys of metropolitan France and some overseas territories, as part of the national project Litto3D. Ocean Infinity’s seabed mapping campaign commenced in the summer of 2017. The Ocean Infinity team is made up of individuals from multiple disciplines, who have gained vast experience with deep-sea exploration operations in the past. Their combined knowledge and insight led to the idea to undertake deep-sea mapping operations using up to eight Autonomous Underwater Vehicles (AUVs), paired with eight Unmanned Surface Vessels (USVs). This novel concept is explained in more detail in this article.